Abstract—Based upon the basis of Lie super algebra B(0,1), the super coupled Burgers equation hierarchy with self-consistent sources was presented. Furthermore, the infinite conservation laws of above hierarchy were given. Index Terms—Super coupled Burgers hierarchy, self-consistent sources, conservation laws, lie super algebras. S. X. Tao is with School of Mathematics and Information Science, Shangqiu Normal University, Henan, Shangqiu 476000, China (e-mail: taosixing@163.com). 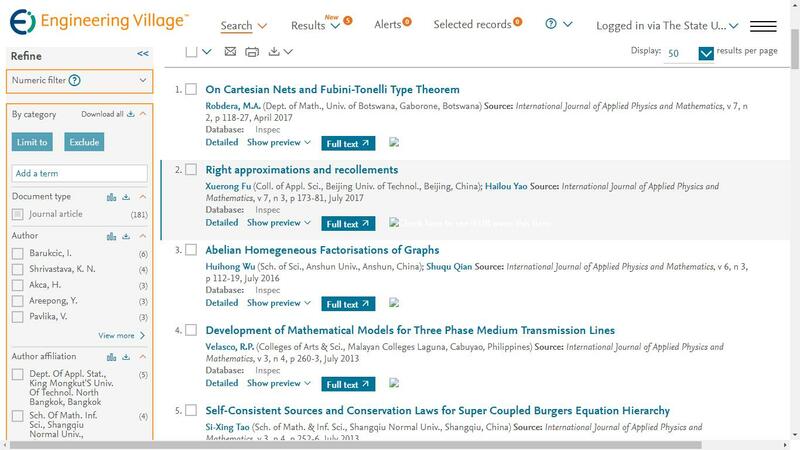 Cite:Si-Xing Tao, "Self-Consistent Sources and Conservation Laws for Super Coupled Burgers Equation Hierarchy," International Journal of Applied Physics and Mathematics vol. 3, no. 4, pp. 252-256, 2013.